And will sell its 50 per cent stake to State Bank of India in Russia as part of rationalisation of overseas branch network. 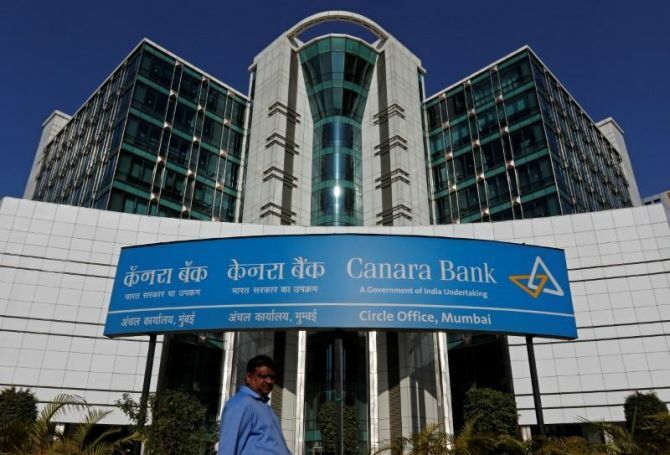 Canara Bank will close its three foreign branches - Leicester (UK), Bahrain, and Shanghai - and sell its 50 per cent stake to State Bank of India (SBI) in Russia as part of rationalisation of overseas branch network. Rakesh Sharma, bank’s managing director and chief executive officer, told Business Standard that the board of directors had given a nod for overseas branch rationalisation plan. Canara Bank has eight foreign Branches, one at London, Leicester, Hong Kong, Shanghai, Manama, Johannesburg, New York, and DIFC (Dubai) and a representative office in Sharjah, UAE. The Bengaluru-based public sector lender also has a wholly-owned subsidiary Canara Bank (Tanzania) at Dar es Salaam in Tanzania and Commercial Indo Bank LLC, a joint venture bank with SBI, at Moscow in Russia. The bank’s wholly-owned subsidiary in Dar es Salaam was opened in May 2016. Sharma said the public sector lender would ensure continuity in services for customers of branches, which were being closed. The work at Leicester branch will move to London branch, Hong Kong branch will take over the activities of Shanghai branch and operations of Manama (Baharin) will be transferred to Dubai branch. According to an annual report for 2016-17, overseas business of Canara Bank crossed $10 billion mark, constituting over 8 per cent of the bank’s total business as of March 2017. Total overseas business stood at Rs 684.08 billion, comprising deposits of Rs 406.66 billion, and advances of Rs 27,742 crore. The government has directed the public sector banks (PSBs) to consolidate their overseas operations against the backdrop of fraud in Punjab National Bank. This means many branches and offices of the PSBs in foreign countries will either be shut down or merged with others. Banks take a view on branch operations, including their revival, based on commercial considerations. According to government response to questions in Parliament, PSBs are operating 159 branches in the foreign countries, of which 41 were loss-making in FY16-17. Canara Banks has four loss making branches abroad. A reforms agenda based has been referred for appropriate action as per approval of bank Boards. The agenda covers rationalisation of overseas operations for cost efficiencies and synergies in overseas markets. It also seeks a differentiated banking strategy to leverage bank’s competitive advantage, which may include branch network rationalisation for a strong regional connect.